Click here to visit the national VFW Auxiliary site for more information on the programs that are offered. 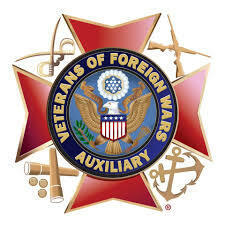 VFW Auxiliary members are... husbands, wives, widowers, widows, fathers, mothers, grandfathers, grandsons, granddaughters, brothers, and sisters of persons who were or are eligible for membership in the Veterans of Foreign Wars of the United States. Stepchildren were removed from the eligibility language - they are still eligible. Per VFW ruling, stepchildren are children. There is to be no distinction between them. Members must be citizens of the United States and at least 16 years old.